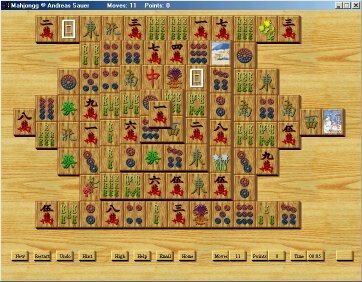 Soft14: AS-Mahjongg - Mahjongg Solitaire Game with many different tilesets. Mahjongg Solitaire Game with many different tilesets. The game has restart, undo, and hint functions. Play to get into the highscore.